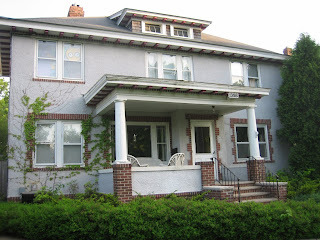 It was our first year so we kept it simple. Just us, a folding table, 2 chairs, and a bag with some good alfresco food, a tablecloth, china, flower arrangement, candles. The site was announced — the Stone Arch bridge! — and we headed out. 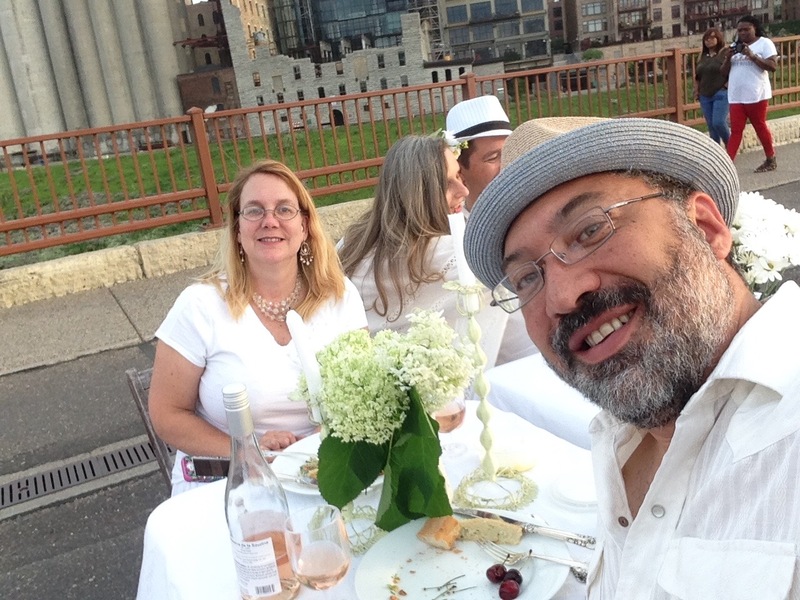 As we parked near the Guthrie the effect of seeing all the people in white, headed to the bridge, was so exciting! 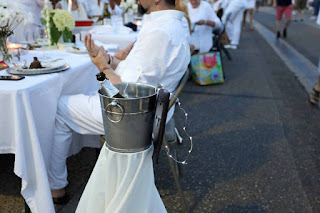 But best of all were the lovely couple just next to us, who had done Diner en Blanc several times before, and took us under their wings (not their literal wings, mind you — the large white feathered wings worn by one attendee were a few tables down.) We were not their only beneficiaries, however; as a gift to the event, they set up a champagne station and encouraged (sometime demanded!) that every attendee who walked past should stop and have a glass! So there we were. The night began with the twirling of the napkins, and proceeded over lovely food and conversation. 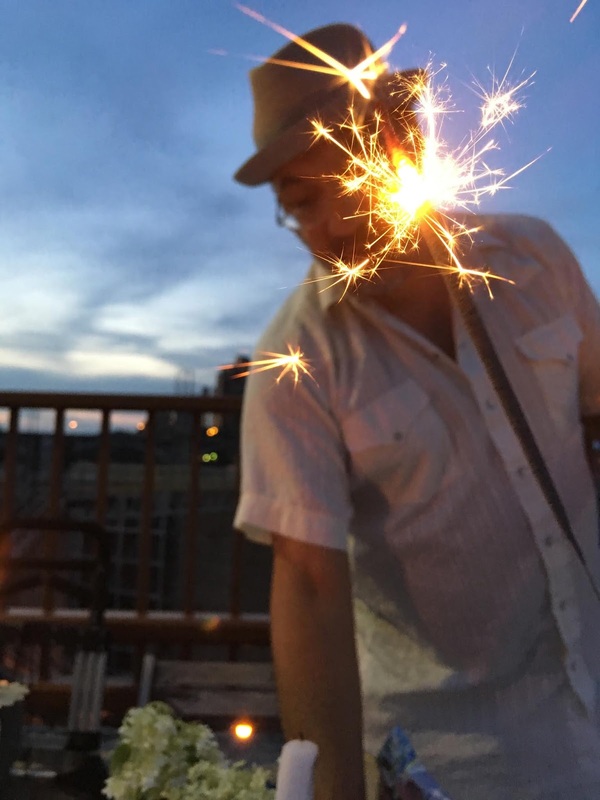 It included looking out over the water, confused passer-by, a few slow-rolling-past cop cars, a golden sunset, sparklers, and oh-so-heavenly gin. And the night ended, as we were one of the last tables, with me receiving an amazingly spot-on tarot reading — and even more amazingly, as the reading commenced, we both suddenly came to the realization that we were old friends who had lost touch with each other. So with this kind of magic, and as midnight approached, we loaded up everything (a key rule is to leave no trace) and headed back to the car, stopping to appreciate the Washington Avenue Bridge lit up for Pride on the way. I said there were no words that could describe the event, and now I have written many. And there are many more I could.